CONSISTENCY: Road network access and operating conditions will be standardised. AUSTRALIA'S transport ministers have agreed to a national set of road network access and operating conditions for modular B-triples that will enable these vehicles to access the current type 1 road train network on the same basis as double (type 1) road trains. While B-triples presently operate in many parts of Australia, these vehicles have been disadvantaged by inconsistent state and territory road access and operating conditions. National Transport Commission (NTC) chief executive Nick Dimopoulos described the decision as a win for industry and the community. "Modular B-triples are safe, efficient vehicles. 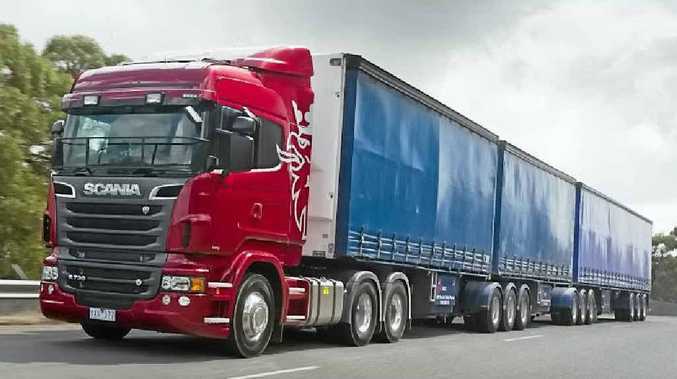 They have been designed to allow industry to utilise their existing B-double equipment, giving industry the flexibility to mix and match equipment according to their level of road access," Mr Dimopoulos said. "We hope this decision will provide industry with the confidence needed to invest in these vehicles and increase uptake across Australia. "Not since the introduction of B-doubles has Australia had a similar opportunity to impact so positively on the road transport industry's triple bottom line." The NTC estimates that this decision by ministers will prevent many fatalities, result in a reduction of 1.1 million tonnes of CO2 emissions and generate an estimated $1.1 billion in productivity savings (Net Present Value) by 2030. This financial gain derives from both reduced vehicle numbers and kilometres travelled. "We would like to acknowledge our reform partners in government and industry for working so collaboratively with us on this initiative," Mr Dimopoulos said. Modular B-triples comprise a prime mover and three semi-trailers, and can be assembled from standard B-double trailer equipment. They meet stringent requirements to ensure they are safe enough to travel on Australian roads and do no more damage to roads and bridges than A-doubles.